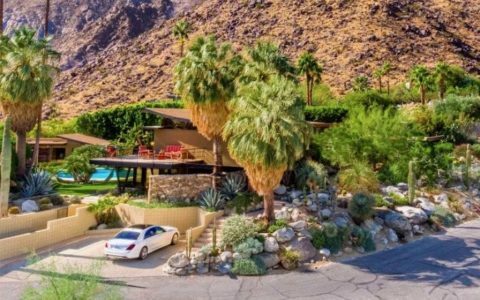 Architect Duane Smith and his husband bought this Cliff May inspired mid-century desert house in Palm Springs as an investment, but quickly fell in love with its mid-century heritage and the desert lifestyle. 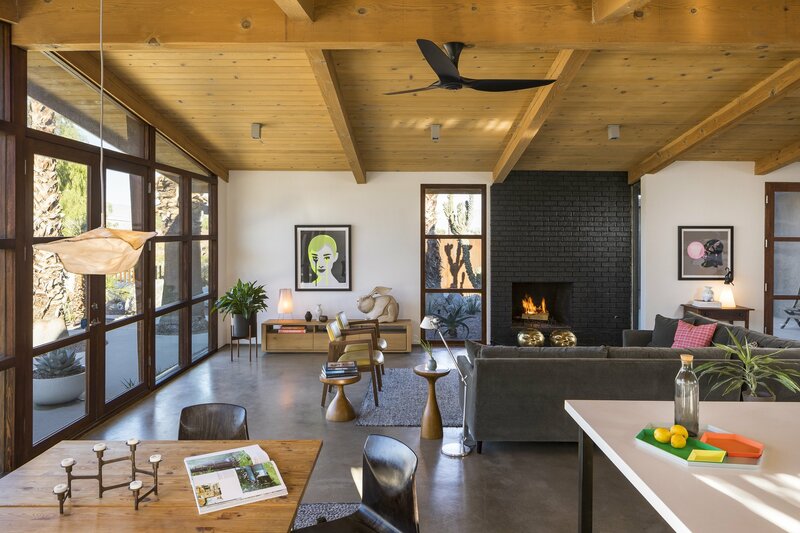 What we see today is the result of a mindful renovation to expand the original mid-century structure and focused on the relation between inside and outside space. Duane tells a about the process and their inspiration for this project. I was always a creative child. My favorite (and nearly only) toy was Lego. I started by replicating buildings that I was familiar with, which led to building designs for new houses that I would then draw as well. I used to make my own clothing, paint signs for local businesses, and was always curious about how things were built and how I could improve them. This curiosity, as well as a love for built environments, naturally led to a love of residential architecture and desire to be an architect. My formal training as an industrial designer was focused on problem solving and creating practical, functional products for mass production. The initial problem definition and exploring a breadth of innovative solutions to the problem was always my favorite aspect of product design. This skill has translated into my architectural design practice and I find that the early schematic design phase is the most exciting. It’s particularly satisfying when the program and scope seem like impossible challenges, but through some application of some fundamental rules and creative thinking we arrive at what are sometimes surprising solutions that the client is delighted by. Can you tell us about the approach you had for this project? This was a renovation and addition to an existing home. The structure was built in 1954. 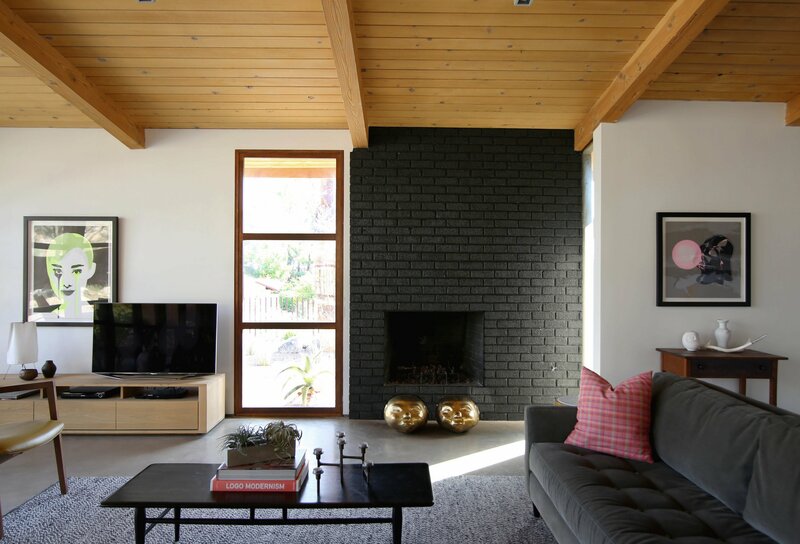 The original layout, post-and-beam construction, wall of custom wooden windows and unique architectural detailing are reminiscent of Cliff May’s iconic Rancho homes, yet the original architect is unknown. My husband and I purchased the home in 2014 with the intention of renovating it for vacation rental. Our primary goal was to maintain the unique character of the original structure while upgrading the home to be more energy efficient, spacious and functional. 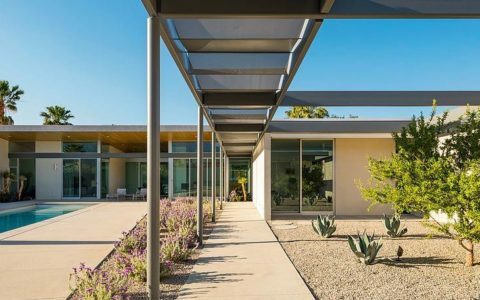 The new L-shaped footprint is more than double the original square footage, and it wraps around an entry courtyard and was inspired by classic ranch homes of the Southwest. A new pool and patio off the main living area as well as private outdoor spaces off each bedroom create a uniquely Californian experience. 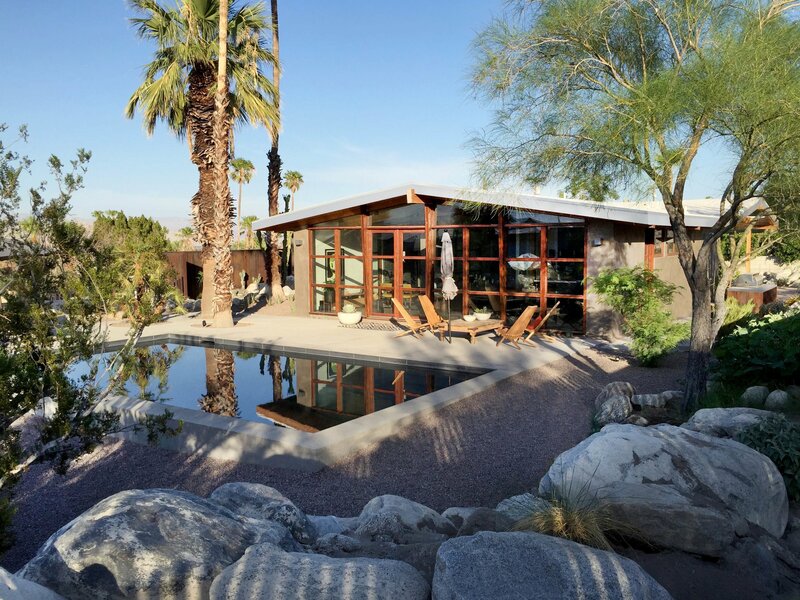 The original siting of the house fully considered the desert sun, keeping the main living area in shade for most of the day with deep eaves and a northwest exposure. 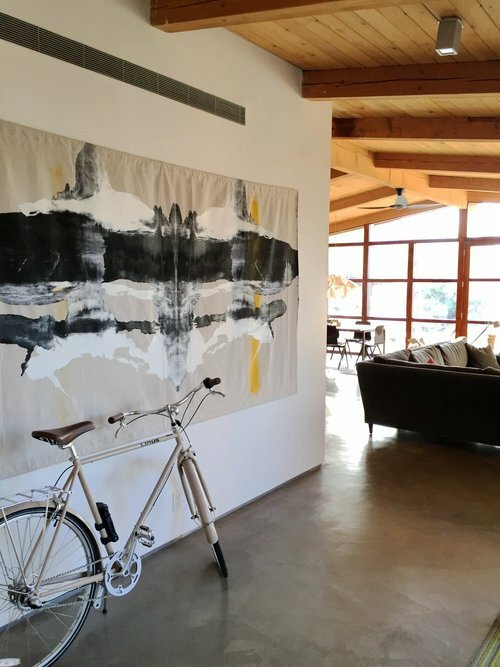 How much the harsh environment surrounding the house, influenced your work? The harsh desert landscape was the key selling feature of the area for us. 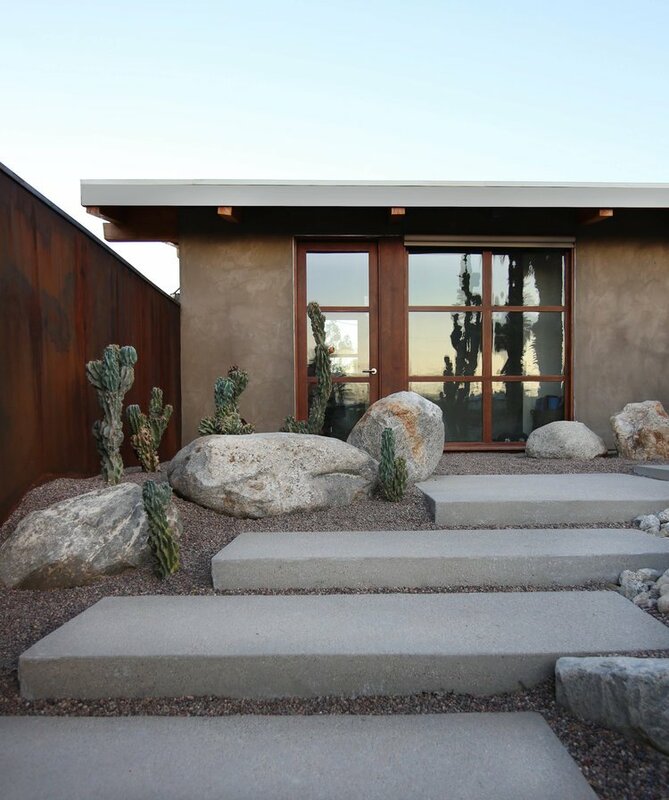 So when it came to designing the renovation, embracing the desert landscape was a priority. 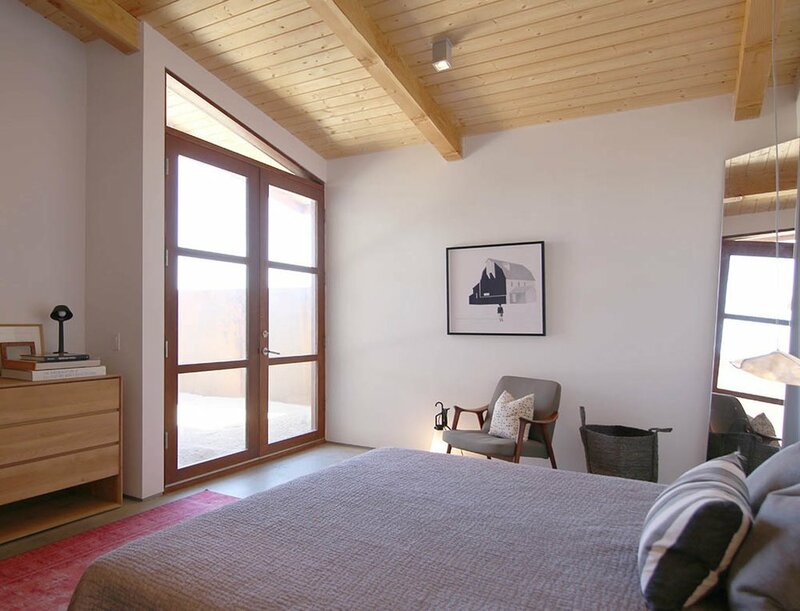 Every room has large windows and doors that open to the outside, and in particular most rooms have a view of the 8500 foot San Jacinto mountain practically in our backyard. 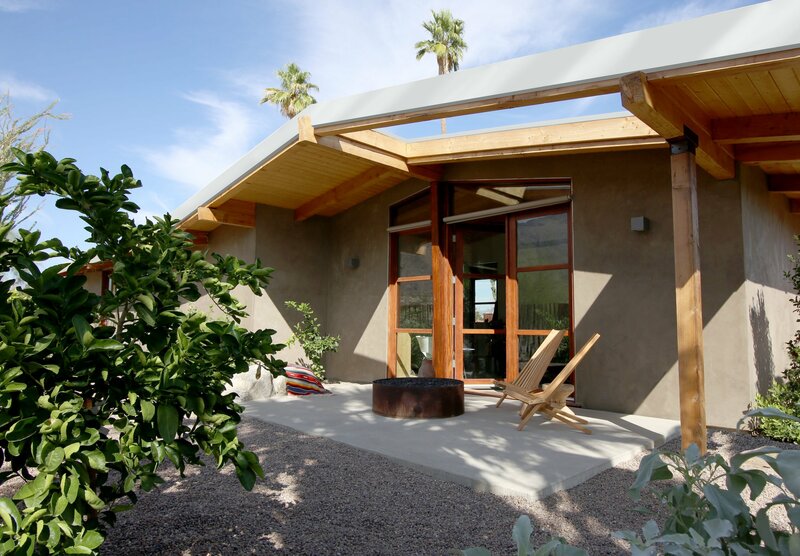 This opening up to the desert environment drove our design as I’m sure it has for most architectural homes in the area. Accepting the harshness of the sun while playing with ever-present shadows was also fun. We have tiny slivers of skylights and windows in a few locations that allow just enough light in to create dynamic shadows throughout the day but don’t contribute to heat gain. What was the biggest challenge you had to overcome in this project? The wind in the desert can be quite strong at times, so balancing the desire to connect the interior to exterior with need for protecting from the wind was challenging. We had existing siting to work around, and finally settled on multiple protected outdoor spaces that can be opened up and are protected from the wind. 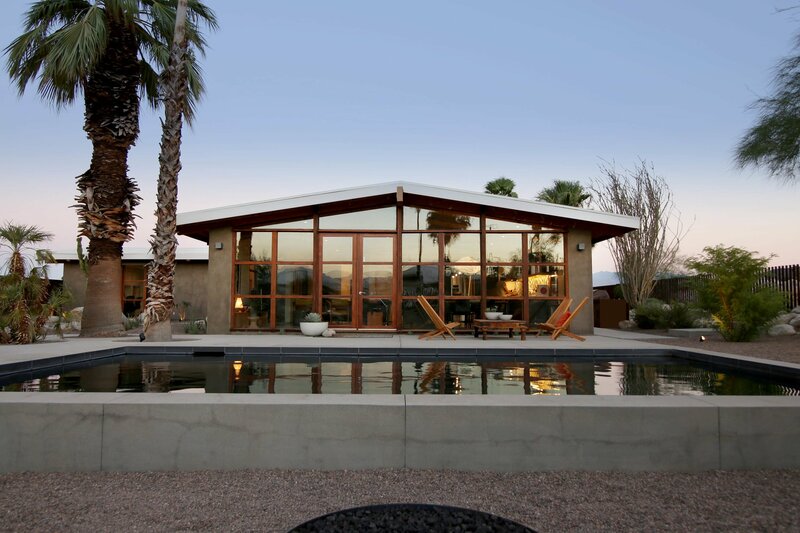 Which aspect of your desert house you like the most and why? The original window design and angled columns were part of the character of the original architecture that we loved. We retained and celebrated these features by designing all the new fenestration to follow the original design so, I suppose this would be one of my favorite elements. Overall, I’m also very satisfied with the functionality of the floorplan. After living in the space for more than a year now, we’ve realized how well it works for our family and lifestyle. The spaces are generous but efficient and not wasteful. Younger generations today, specifically Millennials, are focused much more on authenticity, creativity and disruption than perhaps any generation before. 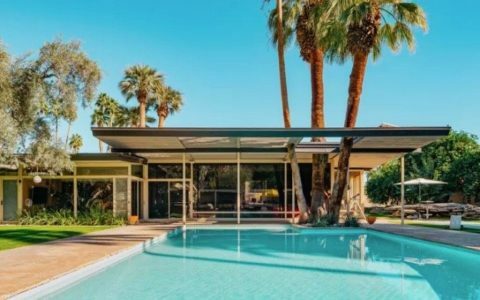 With this generational characteristic, Modernist architects are then natural drawn to and inspired by architectural principles that share a similar drive for innovation and disruption, such as Modernism and even Brutalism. I think we’re going to begin seeing an explosion of a new form of Brutalism from younger architects. Do you think it’s important to continue producing houses/buildings that conform to modernist design principles? In my practice, creating functional, livable spaces is the foundation for all work. There are Modernist principles that align with this, so I guess I will always follow these principles. However, aesthetics evolve over time. There’s a misconception that Modernist principles can only be embodied by the aesthetics of the time in which they became more commonplace (early to mid-century). 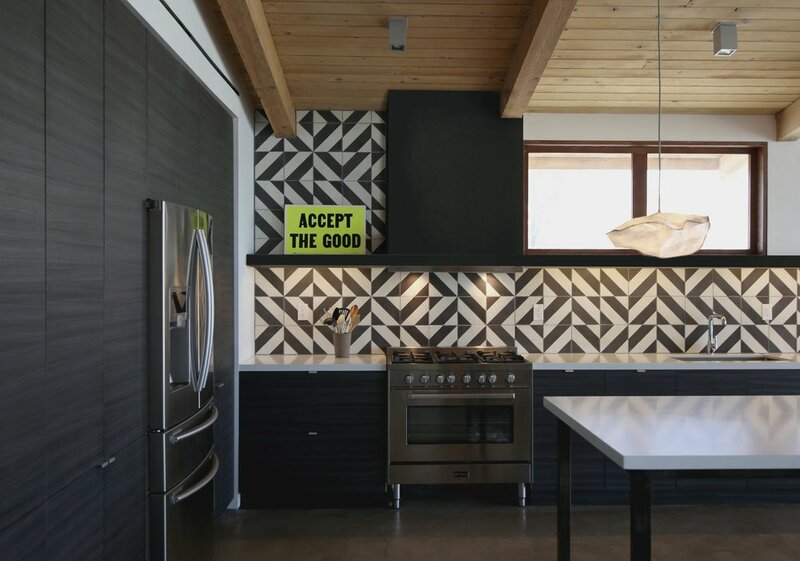 You can employ Modernist principles but have a much more contemporary aesthetic. So fundamentally I would like to see much more architecture driven by the functional principles of Modernism, including pushing for innovation in materials, structural design, and aesthetics.